As soon as the weather starts to warm up, I get flowers on the brain. I wish I could have fresh blooms every day! These particular images have really caught my eye. Such gorgeous styling! 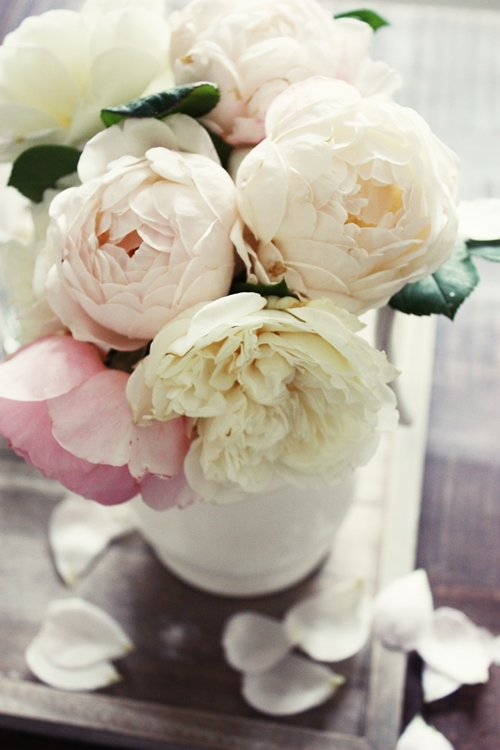 I am especially in love with peonies, ranunculus and billy balls - what are some of your favorite florals? in the mood for: polka dots.